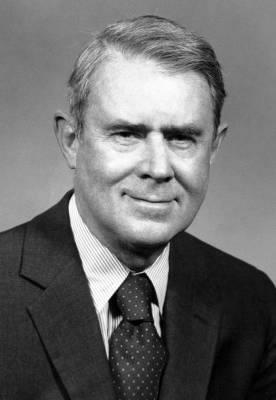 Cyrus Roberts Vance (March 27, 1917 – January 12, 2002) was an American lawyer and United States Secretary of State under President Jimmy Carter from 1977 to 1980. Prior to that position he was the Secretary of the Army and the Deputy Secretary of Defense. Vance was the cousin (and adoptive son) of 1924 Democratic presidential candidate and lawyer John W. Davis. He is the father of Manhattan District Attorney Cyrus Vance, Jr.
Vance was born on March 27, 1917, in Clarksburg, West Virginia. He was the son of John Carl Vance II and his wife Amy Roberts Vance, and he had an older brother, John Carl Vance III. Following Vance's birth, his family relocated to Bronxville, New York, so that his father could commute to Manhattan where he was an insurance broker. Vance's father was also a landowner and worked for a government agency during World War I. He died unexpectedly of pneumonia in 1922. Vance's mother was Amy Roberts Vance, who had a prominent family history in Philadelphia and was active in civic affairs. Following her husband's death, she moved her family to Switzerland for a year, where Vance and his brother learned French at L'Institut Sillig in Vevey. Vance's cousin John W. Davis, an Ambassador to the United Kingdom and 1924 United States presidential candidate, became his mentor and adopted him. Vance graduated from Kent School in 1935 and earned a bachelor's degree in 1939 from Yale University, where he was a member of the secret society Scroll and Key. He also earned three varsity letters in ice hockey at Yale. He graduated from Yale Law School in 1942. Vance entered the US military during World War II, serving in the Navy as a gunnery officer on the destroyer USS Hale (DD-642) until 1946. Upon returning to civilian life he joined the law firm Simpson Thacher & Bartlett in New York City, and later entered government services. Vance was general counsel of the Defense Department and then the Secretary of the Army during the John F. Kennedy administration. He was Secretary when Army units were sent to northern Mississippi in 1962 to protect James Meredith and ensure that the court-ordered integration of the University of Mississippi took place. As Deputy Secretary of Defense under President Lyndon Johnson, he first supported the Vietnam War but by the late 1960s changed his views and resigned from office, advising the President to pull out of South Vietnam. In 1968 he served as a delegate to peace talks in Paris. He received the Presidential Medal of Freedom in 1969. He was a professor at Georgetown University afterwards. 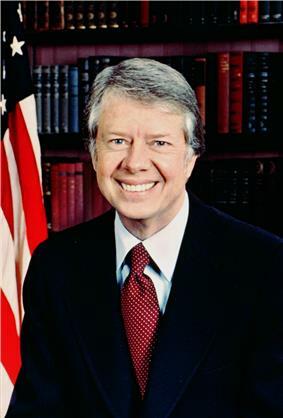 As Secretary of State in the Jimmy Carter administration, Vance pushed for negotiations and economic ties with the Soviet Union, and clashed frequently with the more hawkish National Security Advisor Zbigniew Brzezinski. Vance tried to advance arms limitations by working on the SALT II agreement with the Soviet Union, which he saw as the central diplomatic issue of the time. He was heavily instrumental in Carter's decision to return the Canal Zone to Panama, and in the Camp David Accords agreement between Israel and Egypt. After the Camp David Accords, Vance's influence in the administration began to wane as Brzezinski's rose. His role in talks with People's Republic of China was marginalized, and his advice for a response to the Shah of Iran's collapsing regime was ignored. Shortly thereafter, when 53 American hostages were held in Iran, he worked actively in negotiations but to no avail. Finally, when Carter ordered a secret military rescue—Operation Eagle Claw—Vance resigned in opposition. Vance felt the rescue attempt was too risky, and did not even wait to see its failure before announcing his resignation. The second rescue was planned but never carried out. The Shah of Iran Mohammad Reza Pahlavi meeting with Alfred Leroy Atherton, William H. Sullivan, Vance, President Jimmy Carter, and Zbigniew Brzezinski in 1977. In 1997, he was made the original honorary chair of the American Iranian Council. From 1974 to 1976, Vance served as president of the New York City Bar Association. Vance returned to his law practice at Simpson Thacher & Bartlett in 1980, but was repeatedly called back to public service throughout the 1980s and 1990s, participating in diplomatic missions to Bosnia, Croatia, and South Africa. In 1991, he was named Special Envoy of the Secretary-General of the United Nations for Croatia and proposed the Vance plan for solution of conflict in Croatia. Authorities of Croatia and Serbia agreed to Vance's plan, but the leaders of SAO Krajina rejected it, even though it offered Serbs quite a large degree of autonomy by the rest of the world's standards, as it did not include full independence for Krajina. He continued his work as member of Zagreb 4 group. The plan they drafted, named Z-4, was effectively superseded when Croatian forces retook the Krajina region (Operation Storm) in 1995. In January 1993, as the United Nations Special Envoy to Bosnia, Vance and Lord David Owen, the EU representative, began negotiating a peace plan for the ending the War in Bosnia. The plan was rejected, and Vance announced his resignation as Special Envoy to the UN Secretary-General. He was replaced by Norwegian Foreign Minister Thorvald Stoltenberg. In 1993, Vance was awarded the United States Military Academy's Sylvanus Thayer Award. In 1995 he again acted as Special Envoy of the Secretary-General of the United Nations and signed the interim accord as witness in the negotiations between the Republic of Macedonia and Greece. Vance was a member of the Trilateral Commission. Vance died at the Mount Sinai Medical Center in New York City on January 12, 2002, at the age of 84, after a long battle with pneumonia, and the complication from Alzheimer's disease. He was interred at the Arlington National Cemetery in Arlington, Virginia. Grace S. Vance died in New York City on March 22, 2008, at the age of 89. In 1980, Vance received the U.S. Senator John Heinz Award for Greatest Public Service by an Elected or Appointed Official, an award given out annually by Jefferson Awards. The house of Vance's mother, which was known as the Stealey-Goff-Vance House, was listed on the National Register of Historic Places in 1979. It is home to the Harrison County Historical Society. In the 2012 movie Argo, Vance was portrayed by actor Bob Gunton. ^ "Cyrus was only 5 years old when his father died. In the ensuing years, the boy developed an exceptionally close relationship with his first cousin, best friend and mentor, John W. Davis, who had been a member of Congress, ambassador to Britain and Democratic candidate for president in 1924. It was through Mr. Davis that Mr. Vance said he developed an early interest in the law." (from his NYTimes obituary). ^ a b Mihalkanin 2004, p. 512. ^ Harbaugh 1973, pp. 389–390. United States Secretary of the Army, New York City, World War II, Stephen Ailes, Washington, D.C.